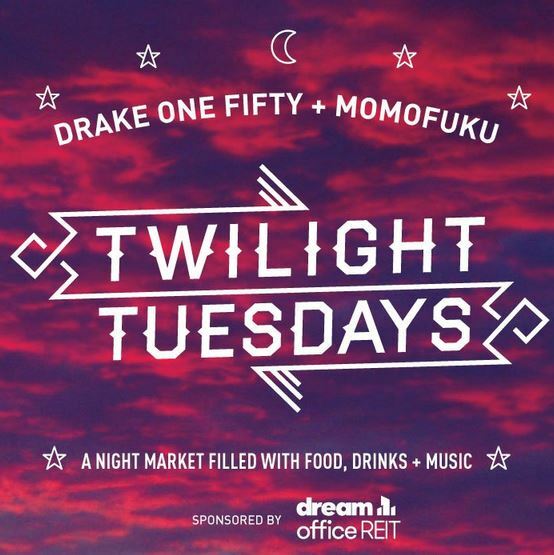 The Hip & Urban Girl's Guide: Twilight Tuesdays Are Back! Twilight Tuesdays will help you get through the dog days of summer! Every Tuesday in August from 5-9pm, Drake One Fifty, Momofuku + friends will transform the parkette on the west side of York Street between Richmond and Adelaide into a mini night-market. There will be gourmet street food, summertime treats, and indie musicians. Financial District neighbours Pizzeria Libretto, The Gabardine, Richmond Station and Thoroughbred Food & Drink will also make an appearance on alternating Tuesdays. Guests trade tickets ($5 each) for one food or drink item. Offerings will riff on the Drake interpretation of high meets low: think steamed buns, mini pulled pork sandwiches and yakitori. Slushies, freezies and soft serve ice cream. Top it all off with $5 drinks and Drake General Store's booth stocked with signature mix of quirky curiosities and takeaway treasures. To make this a true community event, proceeds from food sales will be donated to the Out of the Cold program. 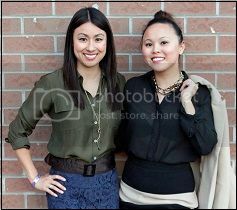 Last year, they raised over $9K, enough for 1600 warm meals!